Do you want to feel healthy and happy? Do you want to have energy to do everything you want to do? Do you want to have a clear head and feel nourished with each meal? Do you want to reach your fitness goals? Do you want to improve your relationships and reach your career goals? If so, optimizing your health is the key to reaching these goals and living a long and healthy life. Are you suffering from a chronic illness like Lyme Disease and need some support on your path to healing? When we work together to optimize your health, I meet you where you are and work together to develop and implement a personal wellness plan so that you can achieve your goals and feel great! 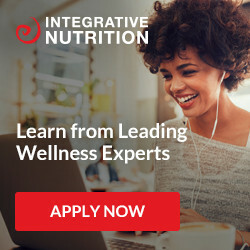 I will teach you how to pay attention to the signals your body is giving you while also optimizing your diet to work with your body and how to make lifestyle changes that will help you lead a happy, healthy prosperous life.